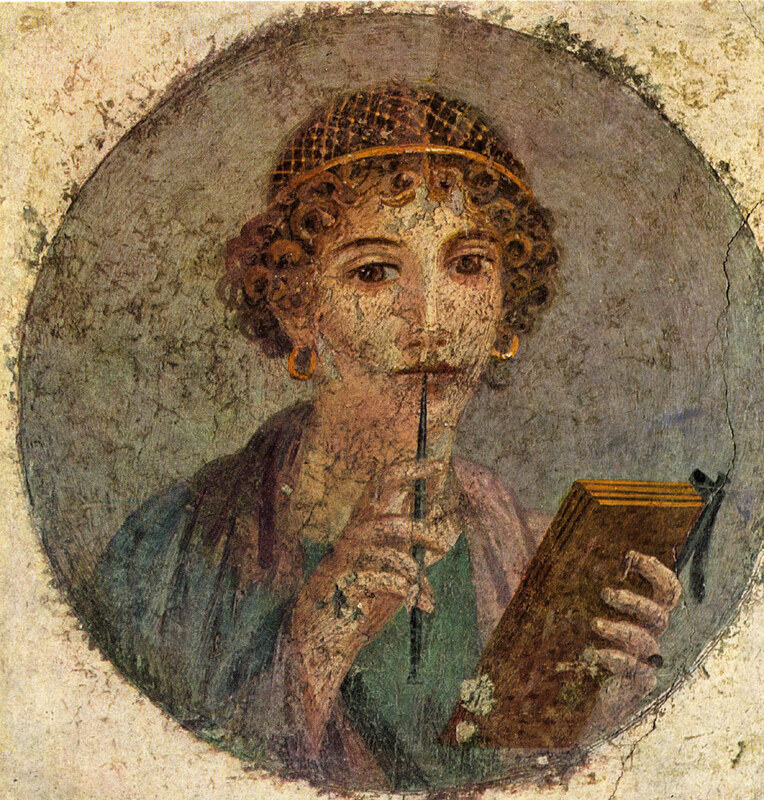 A Roman woman writer, Terentia or Terenzia. She wears the gold hairnet common to the Imperial Period in Pompeii. This post is a bit of fun. Many women – myself included – love clothes and deciding what image we’re going to portray with our dress style. So today’s post is all about the fashions of historical and modern writers in different countries and genres. Today’s post is mainly for women, but if you’re interested, I can post a version for the gents later on! Does any of this actually matter? There’s a serious side to fashion. Let’s say it’s time to finish writing your book. If you feel creative wearing certain clothes, wear them every time you write and you’ll write more often and with more energy! Then it’s time to promote the book. If you know that you are wearing something that makes you look your best, you’ll feel more confident and find it easier to talk about your creative work with others. If you have a great profile photo, you won’t hesitate to get in touch with someone on LinkedIn. When you’re at a writer’s festival and you have a two-minute chance to chat with a publisher in an elevator after a session, you’ll speak with confidence knowing you look and feel your best, your most creative, your most “writerly”. Elizabeth Gilbert, author of the best-selling book / movie Eat Pray Love, has always been a fascinating speaker to me. For Elizabeth Gilbert, the success of Eat Pray Love meant a form of failure. Her next book completely bombed because everyone who wanted a sequel to Eat Pray Love didn’t get it, and everyone who hated Eat Pray Love was annoyed that she had written another book. But what could she do about that? Nothing. So she says she had a choice – to retire and move to some gorgeous villa, or to keep writing and see if she couldn’t succeed/fail again. If she was going to avoid being paralysed as a writer and a human being, she had to get up and get started on her next book.